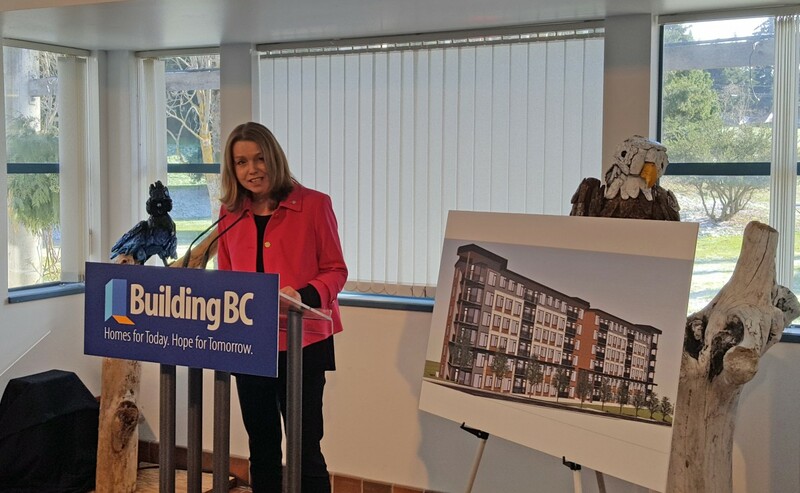 COLWOOD, BC - Today Colwood Mayor Rob Martin was pleased to join MLA Mitzi Dean for the Province’s announcement of $24 million in funding for new affordable rental housing at 342 Wale Road. This investment will increase the diversity of housing offered in Colwood and revitalize this significant town centre site. With development progressing rapidly at Colwood Corners, the City has successfully resolved two long-standing stalled developments in Colwood. 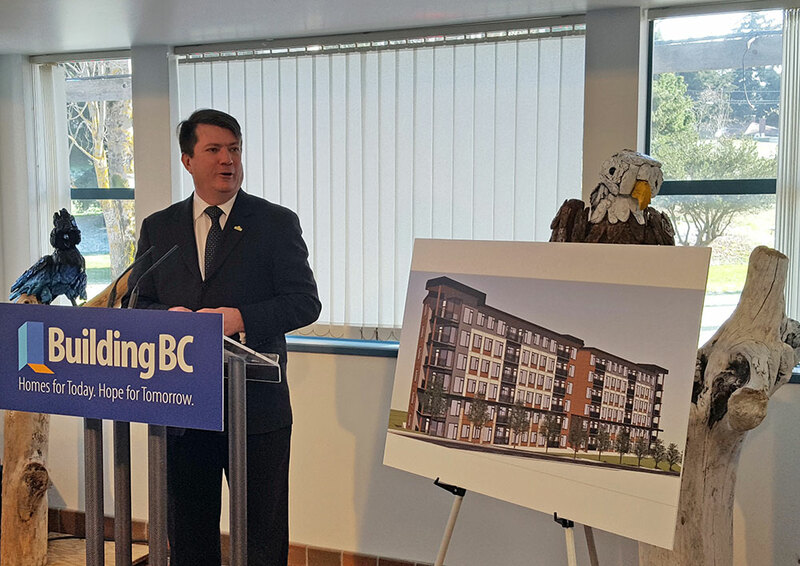 The Provincial funding was awarded to the Aboriginal Land Trust Society to develop the 124-unit building. These new homes will help to fill the critical need for rental housing in our region. The stated project timelines are aggressive, with the goal of having shovels in the ground this summer. Colwood staff are up to the task of working with the developer to achieve their goals as they align with the needs of the community. “One of this Council’s commitments was to bring new life to stalled development sites, with new buildings and amenities that residents can be proud of,” said Mayor Rob Martin. "This is exactly the message we want to send to businesses and investors: Colwood has incredible untapped potential and we are eager to work with you." Colwood is proactively encouraging new business and development in the City’s town centre to promote economic growth and create unique and inviting places for residents to shop, dine and access services without leaving the community.